What Does Dr. Oz Recommend for Daily Supplements? Your body requires a variety of micronutrients to maintain optimum health. They help build and strengthen connective tissue, prevent disease and convert food into energy. Vitamin and mineral deficiencies can impair body processes and seriously compromise your immune system. Even a balanced diet often lacks the levels of micronutrients your body needs. Dr. Mehmet Oz, a surgeon, author and television host, says you should consider adding supplements to your daily regimen to make up for common dietary deficiencies. Very few foods contain vitamin D. Most of your vitamin D comes from sunlight, posing a problem for people with dark complexions or those living in Northern latitudes. According to Dr. Oz, vitamin D helps prevent cancers affecting the uterine, breast, endometrium and colon. Vitamin D also facilitates calcium absorption. Your immune system, blood vessels, muscles and nervous system all require vitamin D to function properly. Dr. Oz recommends getting 15 minutes of sun exposure each day or taking a supplement containing 1,000 IUs of vitamin D daily. Take a dose of fat-soluble vitamin D in the morning with milk or yogurt. Calcium is a major building block of the musculoskeletal system. If you take calcium alone, you miss some of this mineral's most important health benefits. The addition of magnesium helps the body absorb calcium, as well as other supplements and prescription medications. A combination of calcium and vitamin D increases bone density and helps prevent osteoporosis. Dr. Oz advises taking 600 mg calcium, 400 mg magnesium and 1,000 IUs vitamin D.
Omega-3 fatty acids, in the form of fish oil, help prevent certain cancers and improve heart and artery health. Dr. Oz says an omega-3 supplement, including docosahexaenoic acid (DHA) and eicosapentaenoic acid (EPA), reduce inflammation of the arteries and improve brain function. To ensure the omega-3 supplement you purchase has sufficient levels of DHA and EPA, look for capsules that have at least 600 mg DHA. While reports indicate some fish oil supplements may contain trace amounts of mercury and cancer-causing toxins, Dr. Oz feels most brands of refined fish oil are safe. To reduce the risk of contamination in unrefined supplements, choose fish oil derived from anchovy or sardines. Take omega-3 supplements with breakfast to minimize belching. 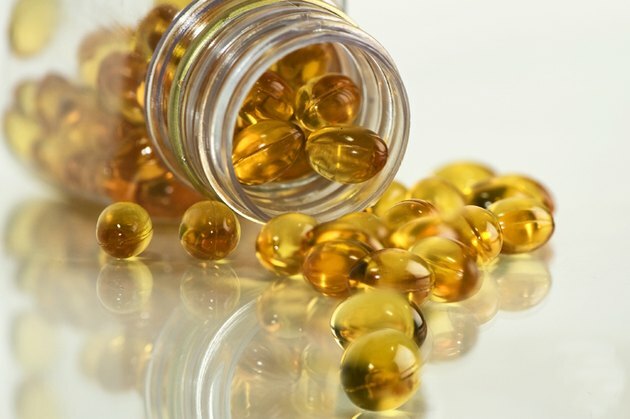 Refrigerate fish oil supplements to prevent spoilage. Multivitamins provide a broad range of micronutrients to increase your energy and strengthen your immune system. Dr. Oz suggests a multivitamin that contains 100 percent of the daily recommended values for essential vitamins and minerals, such as B, C, E and zinc. Men and postmenopausal women do not require supplemental iron. Select a multivitamin tablet that can be broken in two. Take one half of the tablet in the morning and the other half at night, with meals, to ensure proper absorption. Consult with your doctor before taking any supplements. Don't assume that large doses of a supplement increases its effectiveness. You should follow daily serving sizes as directed by your physician. If you have a preexisting condition, supplements can cause harmful side effects and life-threatening drug interactions. What Is D Calcium Pantothenate? Can You Take a Multivitamin With an Aspirin?